Charged with serving as the programmatic facilitator of our university motto, Pro Humanitate, the Pro Humanitate Institute (PHI) is a core of learning, teaching, service, and action that transforms the ethos of WFU into an explicit mission connected to clear practices with meaningful social justice outcomes. We sustain authentic relationships with local and global partners as we work with WFU students, faculty, and staff to encourage deep academic learning, foster transformative civic engagement, and address community-identified needs in order to build more meaningful lives and a more just world. Community engagement describes the collaboration between institutions of higher education and the larger community for the mutually beneficial exchange of knowledge and resources in a context of partnership and reciprocity. 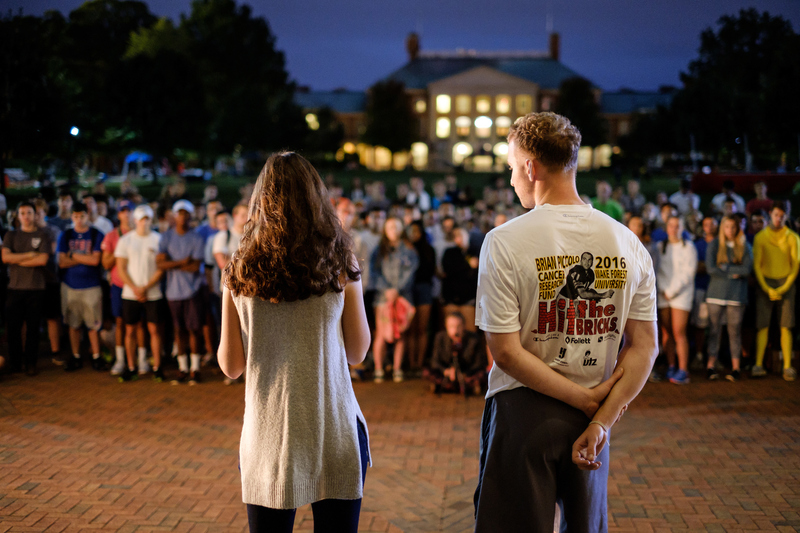 At Wake Forest, faculty, staff, and students connect with community partners to affect change locally, nationally, and internationally. While PHI is the central hub of community-based work at Wake Forest, departments and Schools across the institution offer vibrant opportunities for community engagement, such as clinics, incubators, programs, classes, and other activities. Please reach out to PHI for more information about community-based work.